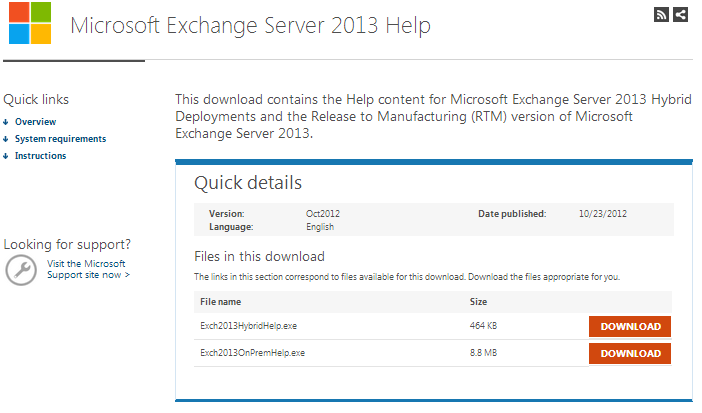 Exchange 2013 Help Files (.chm) are available on Microsoft Download Center. Tagged Exchange 2013 Help Files, Help Files, Microsoft Exchange 2013. Bookmark the permalink.